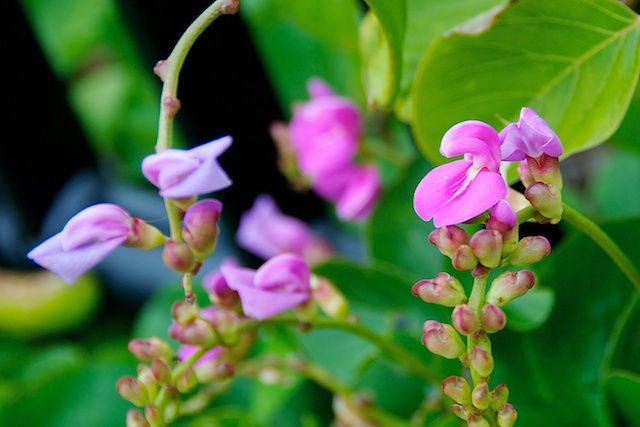 The flower of the Coastal Jack Bean can apparently be seen around the world's dunes. These are part of street planting at Dicky Beach. What to eep the dune compacted?